The Florida State Lottery was created in 1986 with an overwhelming margin of support. As the state’s official gaming body, the Florida Lottery aims to raise money to support public education in Florida. It started selling lottery tickets in January 1988. Since then, the Florida Lottery has awarded over $61.2 billion in prizes and made more than 2,000 players into millionaires. The lottery also prides itself in raising more than $1 billion in educational funds for the past 16 years. All in all, the Florida Lottery has raised over $33 billion for Florida public education. You can buy tickets for Florida lottery games from any of the 13,000 authorized retailers throughout the state. You can also check the Florida Lottery’s “Where to Play” section to search for retailers by ZIP code or city. You have up to 180 days to claim prizes for winning draw game tickets. Scratch-Off and Fast Play games, meanwhile, give you up to 60 days to claim prizes. Can I buy FL Lottery tickets online? No. The Florida State Lottery doesn’t offer online play, nor does it authorize or support the sale of lottery tickets online. Florida Lotto draws are held every Wednesday and Saturday at 11:15 PM Eastern Time. Cash4Life draws are held every Monday and Thursday at 9 PM Eastern Time. You can also opt to play EZmatch for a chance to win instant prizes. Lucky Money draws are held every Tuesday and Friday at 11:15 PM Eastern Time. The Fantasy 5 has draws every day at 11:15 PM Eastern Time. Pick 5 draws are held every day at around 1:30 PM and 9:45 PM Eastern Time. 1-OFF: Your ticket also comes with 1-OFF numbers that are 1 lower and 1 higher than your 4-digit entry. If any of these 1-OFF numbers match the winning draw, you can also win a prize. Available only at $1 per ticket. Pick 4 draws are held every day at around 1:30 PM and 9:45 PM Eastern Time. Pick 3 draws are held every day at around 1:30 PM and 9:45 PM Eastern Time. Pick 2 draws are held every day at around 1:30 PM and 9:45 PM Eastern Time. The Florida State Lottery claims to have made several thousand millionaires since it first started selling lottery tickets. The top prizes range from $50 to several million dollars, depending on the game. 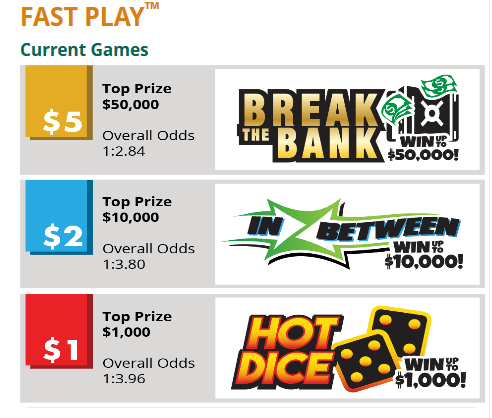 The Florida Lottery also offers instant-play, instant-win games. These print directly from the lottery terminal, and you can check the winning numbers instantly. Second chance games give you another chance to win prizes with your non-winning lottery tickets. Many lotteries simply ask you to submit your tickets for a chance to win. Prizes can go as high as several million dollars per game. To learn more, check out our article on second chance games. How does Second Chance work for the FL Lottery? The Florida Lottery runs a rotating list of second chance promotions for different lotteries and Scratch-Off games. There’s no set schedule for promotions or second-chance games, so it’s best to check regularly. To enter a second chance game, you have to register for an account on the Florida Lottery website’s Second Chance system. You can then submit eligible non-winning tickets for entry into your chosen second-chance game. The Florida State Lottery headquarters are at 250 Marriott Drive, Tallahassee, FL 32301. You can also send an email through the official Florida Lottery website’s contact form. Check winning numbers and jackpots for lottery draw games like the Powerball, Mega Millions, Lucky Money, etc. 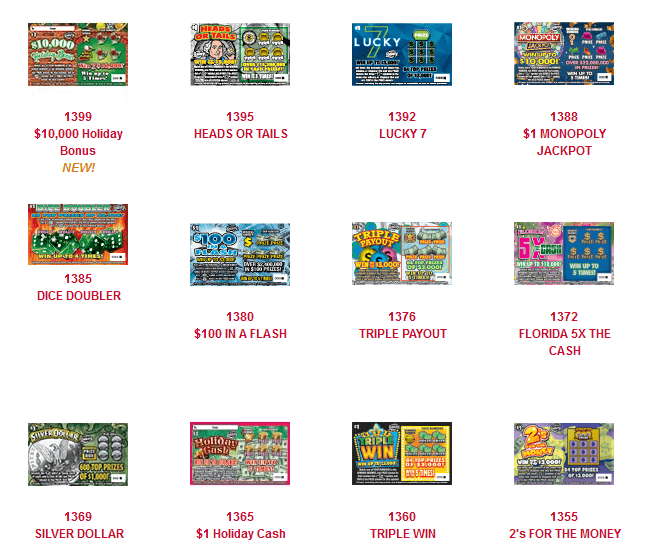 The Florida Lottery website also lets you create an account to enter second chance games, get jackpot alerts, and more. If you’d prefer text messages, you can also sign up for text alerts of winning lottery numbers.